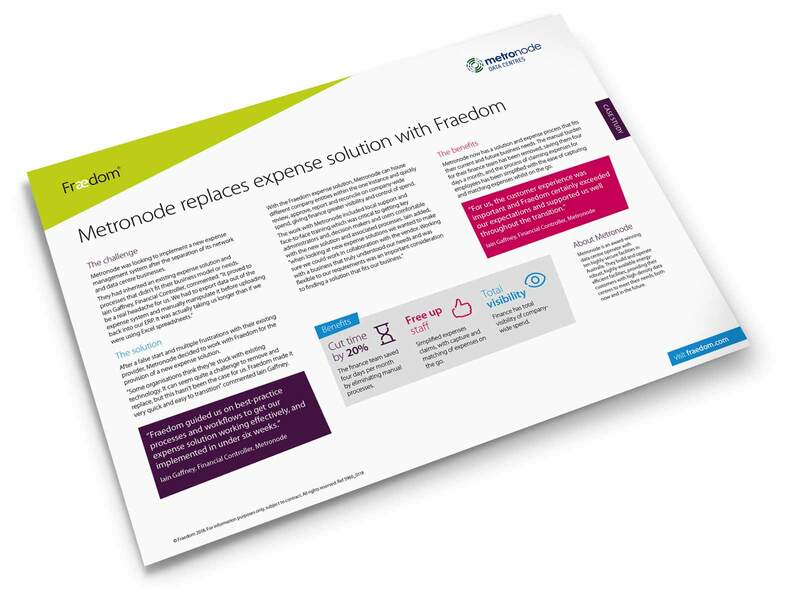 Metronode was looking to implement a new expense management system after the separation of its network and data centre businesses. “Some organisations think they’re stuck with existing technology. It can seem quite a challenge to remove and replace, but this hasn’t been the case for us. Fraedom made it very quick and easy to transition” commented Iain Gaffney.